This is a remarkable album on several levels. 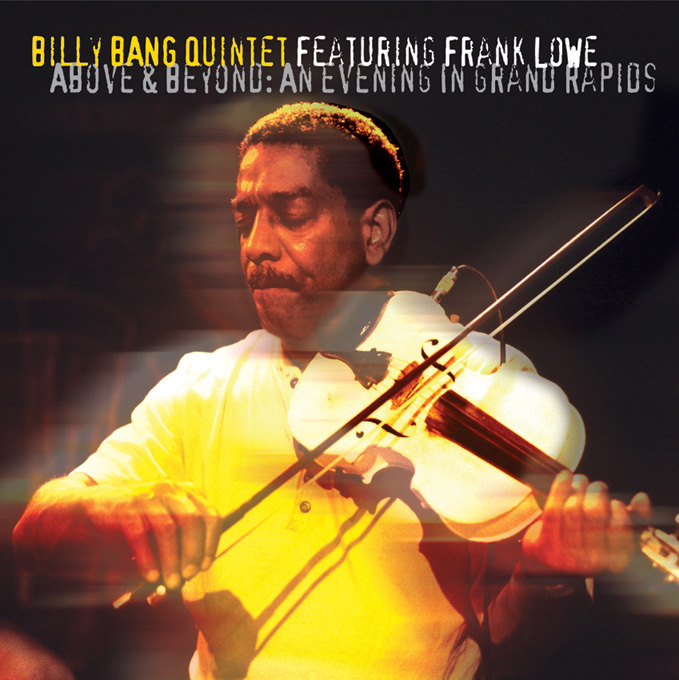 Recorded at a performance by the Billy Bang Quintet at the Urban Institute for Contemporary Arts in Grand Rapids, MI on April 28, 2003 and captured using a laptop running ProTools, it was to be the last recorded appearance of tenor sax great Frank Lowe, who died four months later from lung cancer. While it is obvious at times during the evening that wind is a priority for Lowe (he only had one lung at this point), this is far from a shaky outing for him, and his short, lyrical lines are central to this stunning set. Bang and Lowe were unknowingly at the endgame of their long collaboration together (they first began working together in the mid-'70s) during this two week tour, and the whole unit ( Andy Bemkey on piano, Todd Nicholson on bass, and Tatsuya Nakatani on drums) is sharp and focused, easing into each selection gently, allowing the musicians to find a center, then building and growing the improvisations in a natural flow before gliding back to the main theme for compositional resolve. The result is a kind of free jazz moving with -- as opposed to against -- a melodic center, and even when these selections slide to the atonal side, it all fits and manages to be both surprising and expected at the same time, which means this set is wonderfully accessible. Bang's violin work is as fresh and vital as always, and one quickly forgets the oddity of a violin at the center of a jazz combo as Bang and Lowe play off of and around each other with a sharp but free flowing precision that only comes with a deep respect and familiarity for each other's talent and range. The powerful "Dark Silhouette" is the emotional center of this performance, but all four selections are a tangible part of a whole, and it is a disservice to this album to look at it any other way. The show may have been a swan song for Lowe, but it is still full of a delightful, gentle joy, and the music is uplifting, natural and -- in the best sense -- logical. Lowe on his deathbed asked Bang to make sure this performance was released. One can hear why. It's magnificent.